Montgomery County has received an award from the Federal Transit Administration Low or No Emission Competitive program for $1.75 million to purchase electric buses and charging stations. The buses will be Montgomery County’s first zero-emission buses. Expanding use of electric buses is an important component in the County’s strategy to use innovative technology to reduce fuel consumption by 20 percent by 2020, cut emission of harmful pollutants and greenhouse gases, reduce the environmental impact of its fleet and expand the overall use of electric vehicles. The Montgomery County Department of Transportation (MCDOT) Ride On bus system will use the money to purchase four, 35-foot, all-electric buses, which can operate all day on a single charge, and charging stations. Ride On had budgeted $1.75 million for four, clean diesel buses to replace older buses. The grant will be used to pay the incremental cost difference. "Worsening traffic and the need for efficient public transportation have led us to seek more sustainable transportation options,” said Senator Chris Van Hollen, a member of the Senate Appropriations and Budget Committees. “This funding supports that demand and will improve our public transportation system for thousands of Montgomery County residents. I will keep fighting for these kinds of smart investments in our community." Ride On is partnering with Proterra, the bus manufacturer, and the Center for Transportation and the Environment, a nonprofit that develops technologies and implements solutions to achieve energy and environmental sustainability. 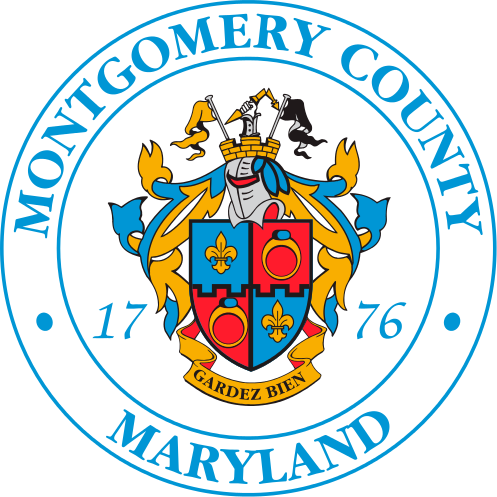 The Montgomery County Department of General Services, which purchases and maintains the Ride On buses, greatly assisted with the grant application. The Low or No Emission Competitive program provides funding to state and local governmental authorities for the purchase or lease of zero-emission and low-emission transit buses as well as acquisition, construction, and leasing of required supporting facilities. The electricity used to run the new buses will be generated from clean energy sources. Montgomery County Government purchases 100 percent of its annual electricity consumption from energy generated by wind turbines. The County, and its partner agencies, collectively are the fourth largest municipal purchaser of clean energy. Montgomery County has a goal of reducing greenhouse gas emissions by 80 percent of the 2005 baseline by 2050 and is currently ahead of schedule.